To demonstrate just how effective explainer videos can be, the team at Skeleton has identified 3 of the world’s most effective explainer videos and the incredible results they have delivered for the marketers that created them. Crazy Egg offers heat mapping for websites, to help you see where your visitors are clicking and where they are leaving. It’s not the easiest topic to explain, especially when their product isn’t physical. They opted to go for an animated explainer video to present their product - and they made the right choice! This is a great example of explainer video conversion rates, as it helped generate around £16,000 extra revenue...PER MONTH! This explainer is effective because it identifies the viewer’s problem from the get-go - a problem that they might not even realise they have. They go into detail about the problem and all the key ways it affects the viewer. They then go on to offer their product as a solution to this problem and explain all the ways it can help in a succinct way that anyone can understand. Music streaming app Spotify is pretty much a household name now, but they had to start somewhere. They needed to explain their brand, and set them apart from the current music services on the market. To do this, they worked with an explainer video production company to create a buzz about their brand from the very start. Although for this explainer, they opted not to go for a voiceover, they did this in order to really emphasise the music. Considering Spotify is a music app, this seemed like a wise choice. 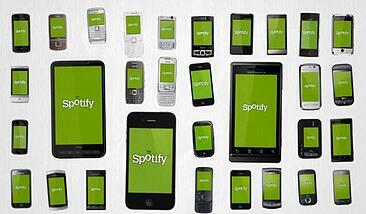 Despite the fast pace of the video, it communicates the core features of Spotify. The explainer utilises Spotify’s brand colours, which are still similar to this day, and has a cast of fun characters to help move the story along. The results? Spotify is now one of the leading music streaming services worldwide. Have you ever heard claims about a product that you’ve thought are too good to be true? Dollar Shave Club make these claims - and then back them up in this tongue-in-cheek explainer for their service. The company offers monthly razor deliveries to its customers for only, well, a dollar. This live action explainer uses comedy, as well as facts about their brand, to promote their subscription service. And what did this explainer do, other than make people laugh? It launched a billion dollar company in 6 years and has changed the face of not only the razor industry, but also of men everywhere. If you’re still wondering to yourself, ‘how much does an explainer video cost?’, consider how much it might be costing you by not having one! Explainer videos can be a hugely effective form of content marketing. They have a plethora of uses, and the majority of brands have at least 1 explainer in their marketing strategy. If you still have questions about explainer video conversion rates, or any other explainer questions, please get in touch. We’d love to help.